The Brazil vs Belgium odds have Seleção as 8/15 favourites to qualify for the semi-finals, whilst Roberto Martinez’s men are 6/4 for a last four berth. Belgium’s odds of getting the job done within 90 minutes are 13/5 and a tie at the end of normal is betting at 23/10, but the five time champions’ remain the jollies in this market too at 11/10 and that is our betting tip. A 1-1 draw is the market leading in the correct score betting is our prediction, with a 1-0 success for Neymar and friends 6/1 second-shortest. The South Americans’ odds of reaching the World Cup final are 6/4, with England 11/8 favourites due to their being stationed in the perceived ‘easier’ side of the draw. Why not read our Belgium vs Netherlands predictions and betting tips? William Hill’s own DK and Lee are resolutely behind their opposing picks for this battle of the beautiful B’s. 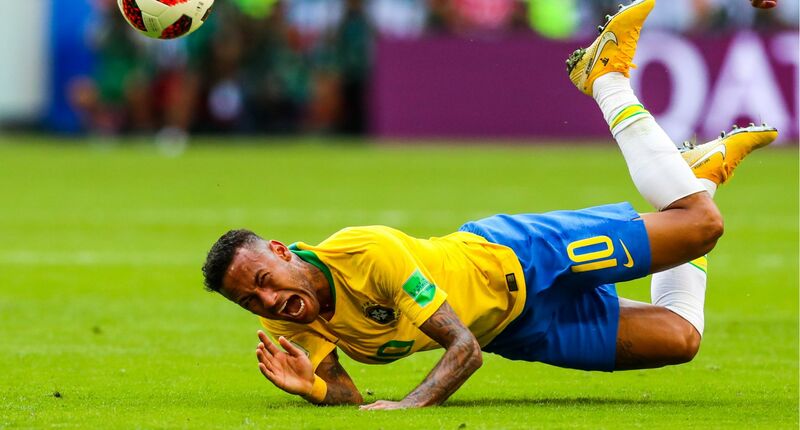 DK’s all over Brazil to win 2-0 at odds of 17/2, with tournament pedigree and the incomparable Neymar high on his list of positives, as is a powerful disdain for Red Devils boss Martinez’s tactical acumen. Not that he’s convincing Lee, who reckons Belgium’s attacking riches outweigh even those of the mighty Seleção and questions the South Americans’ ability to deal with Romelu Lukaku. He’s backing them to win at 13/5 in the 90 minutes betting. Brazil coach Tite typically revealed his starting XI ahead of the game. Tite’s Brazil XI: Alisson; Fagner, Thiago Silva, Miranda, Marcelo; Willian, Fernandinho, Paulinho, Coutinho; Neymar, Firmino. Predicted Belgium XI: Courtois; Alderweireld, Vermaelen, Vertonghen; Meunier, De Bruyne, Witsel, Carrasco; Mertens, Lukaku, Hazard. Belgium coach Martinez made ten changes against Japan, recalling essentially what was his first eleven that he rested against England. However, Belgium sunk to 2-0 down after the break and Martinez required two astute substitutions to save face and claw back to win 3-2. Manchester City defender Vincent Kompany made his return to the starting line-up against Japan but looked unsteady and could be replaced by Thomas Vermaelen or Dedryck Boyata. The Red Devils will hope England match-winner Adnan Januzaj is fit but have no fresh injury concerns otherwise. 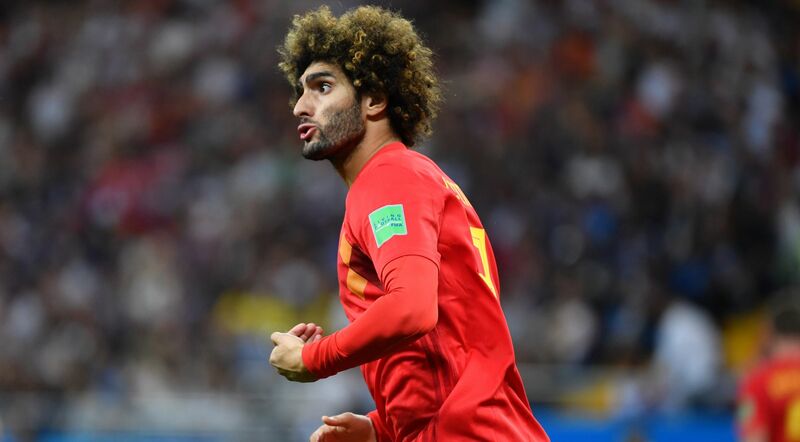 Marouane Fellaini – who impressed as a substitute – could be in line for a start against Brazil. Danilo, who has not played since the opening fixture against Switzerland, has been ruled out of the tournament with an ankle injury on the eve of this fixture. Real Madrid midfielder and anchor Casemiro will miss the game however having been suspended after picking up his second yellow card of the tournament. Fernandinho will likely take his place. Juventus winger Douglas Costa is likely to be fit enough to play some part against Belgium after training with Seleção on Monday. Marcelo was not risked against Mexico but should start against The Red Devils. There are a host of players who are one booking away from being suspended for the semi-finals. Belgium’s Kevin De Bruyne, Thomas Meunier, Jan Vertonghen, Youri Tielemans and Leander Dendoncker are at risk of missing the next round. As are Seleção’s Neymar, Philippe Coutinho and Filipe Luis. Romelu Lukaku could count himself unfortunate to watch Harry Kane bury yet another penalty to take him to top of the goal-scoring charts at the World Cup. Eden Hazard’s status as Belgium’s chief penalty-taker means Lukaku has been unable to add to his four open-play goals so far at this tournament. The Manchester United striker sits two behind his Premier League rival on the goal-scoring charts although half of Kane’s goals have come from the penalty spot. Paris Saint-Germain forward Neymar been one of the most involved players at this tournament, taking the most shots (23), shots on target (12) and creating the most chances (16) of any player so far. Coming right off the back of a four-month injury, the forward has also completed the most dribbles (35) and been the most fouled player (23 fouls) at the tournament. Neymar has been involved in 20 goals in his last 19 games in all competitions for Brazil, registering 11 goals and assisting a further nine. He is available at odds of 10/1 to score the first and last goal against Belgium and that is our betting pick. “Neymar? Skilful, to me he’s not an actor,” Lukaku said. Belgium’s Eden Hazard has a similar record under Martinez – scoring 10 and assisting nine in his past 18 games. The Chelsea ace is 11/5 in the anytime scorer betting vs Brazil. Do Brazil or Belgium’s goalscoring substitutes deserve to start? Roberto Firmino and Nacer Chadli both made decisive cameos from the bench in the round of 16, with Firmino ending Mexican resistance with his country’s second goal and Chadli applying the finishing touch to a comeback-sealing last minute counter attack. But has either man done enough to depose the player that started ahead of them? The Liverpool star averages only slightly fewer shots per game (1.3) than incumbent Seleção centre-forward Gabriel Jesus (1.8) despite playing 312 fewer minutes in Russia and with one strike to his rival’s zero, he would appear to offer a more obvious goal threat. Despite this, the Man City striker has inspired immense loyalty from Tite, as much for the way he dovetails with Neymar and Coutinho as for his ten goals in 21 internationals. The way the latter duo have thrived at the 2018 World Cup suggests he continues to facilitate their brilliance and thus must be kept in the side. Jesus is 5/1 odds in the first goalscorer betting. Belgium’s left-wing-back conundrum is a little tougher to call, with both players most at home in more advanced attacking roles. Against Brazil, their defensive credentials will receive a merciless examination. In Chadli’s favour, he was occasionally called upon to anchor midfield during his Tottenham days, suggesting previous managers have admired his defensive nous. 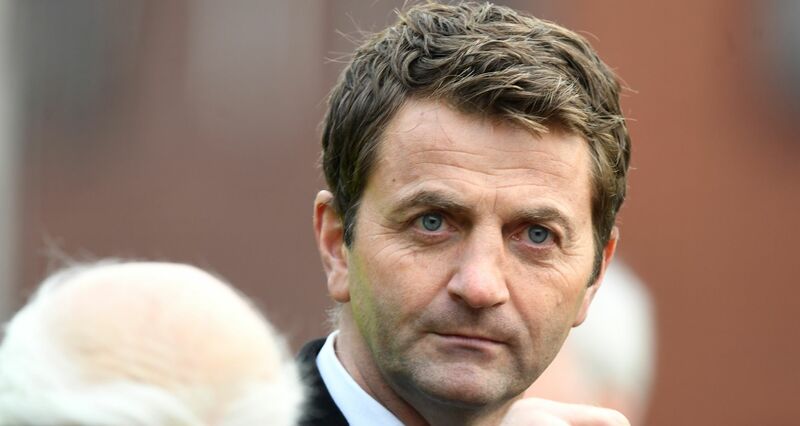 Admittedly the previous manager in question was Tim Sherwood. Belgium’s win over Japan meant they are the first team to come back from two goals down to win a World Cup knock-out game (in 90 minutes) since 1996. Their achievement means they have now reached the quarter-finals in successive tournaments for the first time and extends their unbeaten run to 23 matches (W18 D5), the longest current such streak of any team left in the 2018 World Cup. However, Japan’s goals meant they now conceded 28 goals in their 12 World Cup knock-out games – never keeping a clean sheet. Tite’s men meanwhile have conceded only three goals in their last 15 matches and now have the most World Cup goals in the history of the competition – 228. Thiago Silva and co. have now gone 310 minutes without conceding a goal, the longest run of any team in this tournament. “As a former defender, I love watching Silva and Miranda play,” former France defender William Gallas said to French radio station RMC. Brazil have also reached at least the quarter-final stages of the World Cup in each of the last seven editions of the competition. However, they’ve been knocked out by a European side in each of the last three tournaments – France in 2006, Netherlands in 2010 and Germany in 2014. If Belgium were to beat Brazil then they would win their fifth consecutive World Cup match, a record for the national side.